Anticipating the Rapture has become big business. Too bad there&apos;s no Biblical evidence of it. A new web service allows Fundamentalist Christians to annoy their non-Christian friends after they have been assumed into Heaven in the Rapture. The service is YouveBeenLeftBehind.com and it is run by five persons who believe themselves to be True Christians and therefore sure to be caught up in the Rapture when it happens. Here's how it works: For $40 a year, you can write as many as 62 emails, editing them as you wish. They reside, encrypted, in the company's computer system awaiting the day that three of the five Christian staffers, who are scattered around the country, do not log in. (The reason that only three of the five are required is in case a couple of them aren't, in fact, quite as True Christian® as required. And the reason the five are scattered around the country is to negate a "false positive" due to some catastrophic disaster that affects a large section of the country.) When this happens, the computer will automatically decrypt and send out all the emails, which will then be received by anyone who is still on earth. On the "Why?" section of the web site, its authors explain that the emails from the suddenly-vanished Elect might just possibly bring a friend or relative to Christ. This should be pointless—it should be too late!—but the site postulates that there might be a "grace period" in which non-Elect might be able to yell, in effect, "Wait for me!" and avoid the times of Tribulations predicted for the post-Rapture period. Personally, I don't see how there can be much in the way of tribulation after the Fundamentalists are gone; they've been responsible for just about all the tribulations we've experienced in the past 2000 years. The only way an Earth minus Fundamentalist Christians could be made any better would be if they would take the Fundamentalist Muslims, Fundamentalist Jews and Fundamentalist Hindus along with them. We liberals really want to believe in equality, which means we have to believe that people who don't believe as we do are really as smart as us, but simply misinformed. Call it a matter of faith. But, like most matters of faith, this premise is wrong. Fundamentalists are not regular people who have simply developed a faith-based world view in place of a rational one. Fundamentalists intentionally and repeatedly ignore personal experience, the personal experience of others, and all facts to maintain their "faith". This often requires them to lie, to themselves and to others. For example, Fundamentalists say that their god is a god of "love". Yet, not a week goes by that I don't find myself following a car with a bumper sticker that says, "Warning: In Case of RAPTURE This Car Will Be Unmanned". You might think to yourself, "Who could actually be so brainwashed as to believe that a "loving" god would lift people out of their cars, leaving their cars out of control, in position to smash into other cars and kill innocent people, including children, who might be walking alongside the road or driving behind the person with the bumper sticker?" Brainwashing might be the key, but the fact remains that a person who defines such a god as "good" is lying to himself, either as to what his god would do, or as to the goodness of that god. You can't have it both ways. For another example of these lies, let's look at the belief in the Rapture itself. Although Fundamentalists claim this belief is ancient, that is merely another lie. There was no mention of a rapture in the writings of the early church fathers. The earliest reference (and there's only one) comes from the 18th century; the next two from the 19th. The concept was first popularized, however, by reports of the vision of a 15-year-old Scottish girl named Margaret McDonald. The Scots, you'll recall, also invented golf, another monumental waste of time. Yet, as with golf, "rapture" popularity spread rapidly. 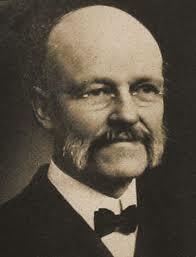 But it was an evangelist named William Eugene Blackstone, whose 1908 book, Jesus Is Coming sold more than one million copies, who really brought the concept into the public eye. Fundamentalists believe the Bible is the source of their faith in the Rapture, but this isn't exactly true. Bits and pieces of the Bible (or of the Nancy Drew Mysteries) can be used to make any point. Elements of the Book of Daniel (which were actually referencing Sumerian/Hittite wars) and sentences from four epistles (which weren't even written by their alleged authors) have been thrown together to prove the point in much the same way author Dan Brown created a mythology of Mary Magdalene out of a few historical anomalies. Fundamentalists are as eager to discount Brown's evidence as they are to accept theirs as proof of the Rapture. The Rapture, or rather, expecting it, has become big business. 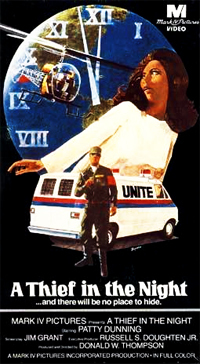 1972's A Thief In The Night was merely the first of a whole string of "Christian End Times" movies which have made many millions of dollars; then there are the multi-million-selling Left Behind books, and the movies based on them; and of course the web sites like YouveBeenLeftBehind.com and others, some of which encourage believers to sign over all their worldly goods to the web site in a contract that takes effect the day after the Rapture. Since it might be very tricky to determine whether the Rapture has actually happened, I leave it as an exercise for the reader to imagine what those website owners are True Believers in. Yes, the Rapture's dirty secret is that only "True" Christians will be "taken up" during it. At least one religion believes this will consist of no more 888 persons on this entire earth—so even if it happens, it might be easy to miss—sort of like Fox News getting the facts of a story right. The majority of Fundamentalists, though, believe it will be them—and none of the other sects whose slightly differing beliefs prevent them from being True Christians. For example, among Rapture enthusiasts, there is a disagreement over whether the Rapture will occur before seven years of Tribulation (the "pre-tribs"), in the middle of them, or after them (the "post-tribs"). Each of the three groups is certain members of the other groups will be left behind. That a passage in the book of Matthew insists that "no one knows the hour" of Christ's return (which, in Matthew, is not associated with any raptures but is nevertheless one of the puzzle pieces made to support the mythology) does not prevent Rapture fans from picking dates. The old religious group, the Shakers, thought it would happen in 1792. (It didn't.) 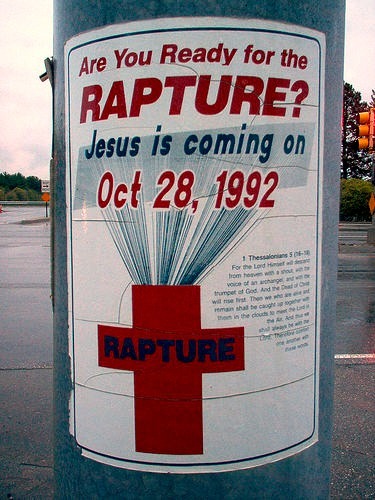 author Edgar C. Whisenant published a book entitled 88 Reasons Why The Rapture Is In 1988. It wasn't, but Whisenant promptly published a sequel, The Final Shout: Rapture Report 1989. He also made predictions for 1992, 1995, and other years. There have been dozens of other predictions as well, each with its own book presumably purchased by the same group of brain-dead readers. As each date passes without a sudden drop in the Christian population, its adherents, who are apparently genetically unable to admit they are wrong, simply come up with a new date. I believe that the existence of Rapturists provides us with important clues as to how the Fundamentalist mind works. These people, who comprise most of the remaining 25% of Americans who still trust George W. Bush to not steal candy from a baby, are clearly incapable of thinking. As I said, nothing would do the rest of us more good than to have them removed from the gene pool by being assumed into heaven. Anybody's heaven (but mine). But I suppose we won't have to worry about them for long. After all, once the Mayan calendar runs its course (December 12, 2012) the world will have ended anyway.